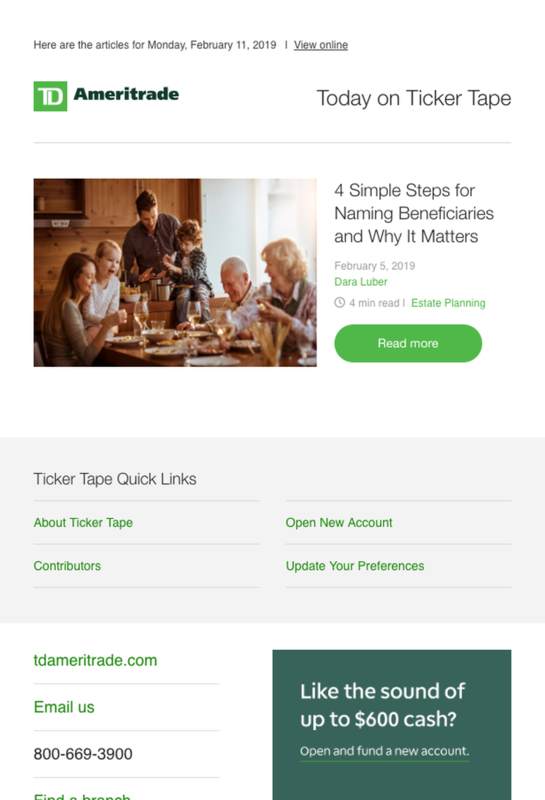 Subscribe now to get the market info and insights that matter to you. 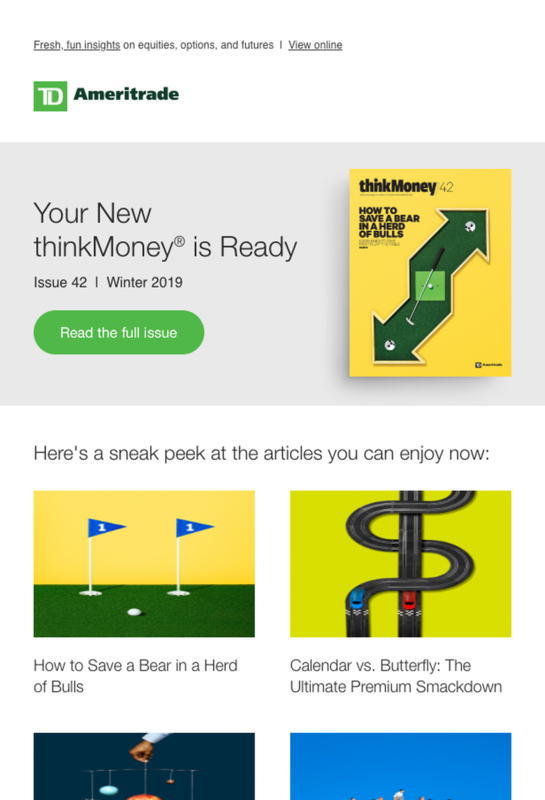 Whether you invest, trade, or do a bit of both, you can get your choice of market news, ideas, and insights—delivered to your inbox. Simply complete the information below to start your free subscription. Keep pace with the fast-moving market and discover ideas that you may not have otherwise thought of. The information in The Ticker Tape® is vetted, filtered, and distilled into manageable insights you can use. Frequency depends on the topics selected. Maximum one email a day. While you invest in the market you can also invest in yourself—by growing your knowledge. Learn what goes into building and managing a portfolio, including products, strategies, and approaches. Plus, get info on how the economy and the markets function. Are you an active trader or perhaps itching to become one? Get the scoop on everything trading. From stock trading basics to option strategies to planning and executing even more advanced plays, the insights you need are here. Plus, tap into the psychology of trading. It’s called personal finance for a reason. It’s personal. Get a complete view of day-to-day and long-term money management techniques with tips for how to apply them to your life. Whatever your objective—research, analysis, or idea generation—get tips and tricks that can help you feel more confident when using our platforms to explore, assess, and act on potential market opportunities. Find out what’s happening in the market when it’s happening. 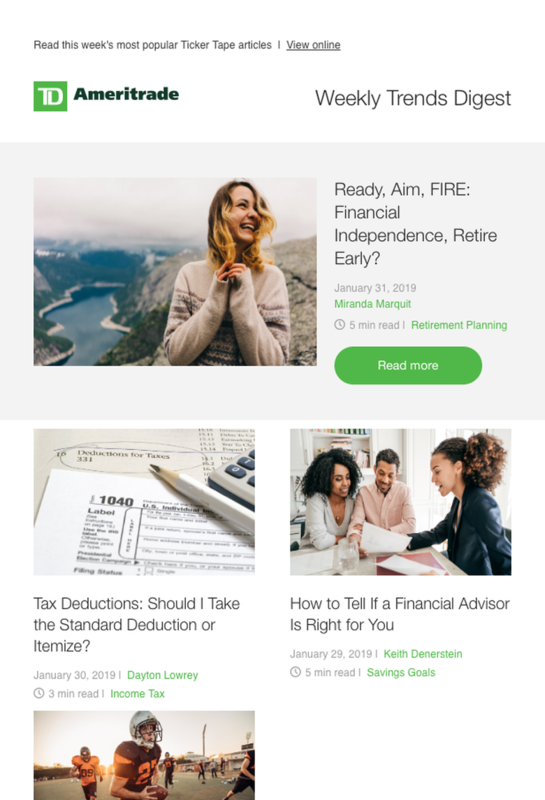 Get behind the headlines with intelligence briefings on market events, economic indicators, earnings, trends, and more. 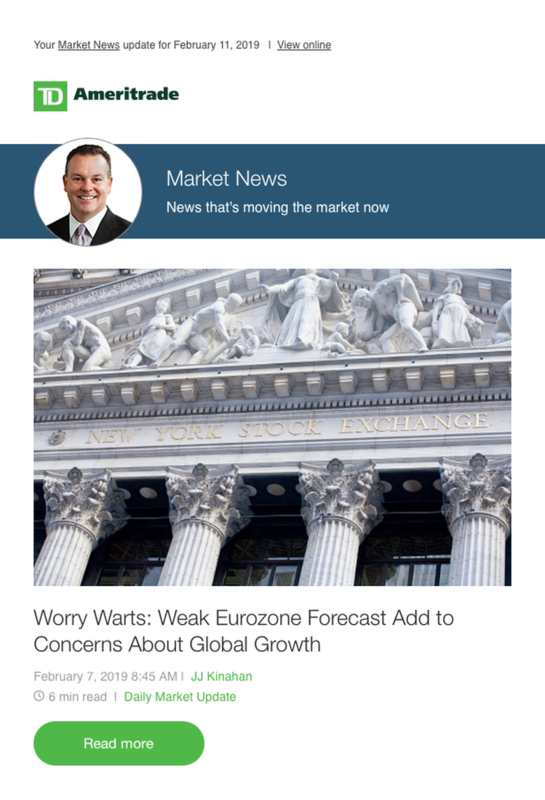 Plus, get smart commentary from our Chief Market Strategist, JJ Kinahan, in his Daily Market Update column. Receive an overview of what's trending on The Ticker Tape with a recap of the most popular articles for the week, as determined by your fellow investors and traders. Get serious market info with a serious sense of humor. Every quarter, this award-winning magazine delivers a fresh, fun take on equities, options, futures, market trends, and trading strategies.